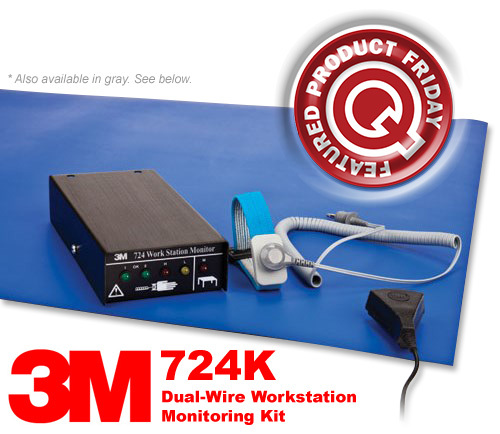 Save 17% off the MSRP on the 3M 724 Dual-Wire Workstation Monitoring Kits (Q Source SKU: 724K-WM10-S036 (Gray) & 724K-WM11-S036 (Blue)) when you use our FPF112114 Coupon Code. This Featured Product Friday (FPF) promo is valid from today, November 21, 2014 through Sunday, November 23, 2014. Each 724 Kit includes a 724 Dual Wire Workstation Monitor, a 2368 Dual Wire Fabric Wrist Band for Monitors, a 2360 Dual Conductor 5’ Ground Cord, and either a gray or blue Dissipative Rubber Table Mat. Regularly listed at $284.18, but with our FPF code savings you’ll get it for just $235.00. While this is a 3-day limited-time price, the coupon is unlimited. Use the code as many times as you like while it is valid—and please feel free to share the code with your friends and colleagues. Leading off this week, our long-time vendor partner, Brady Corp., posted about being invited to celebrate their 100th anniversary by ringing the closing bell at the NYSE. Congrats! Tektronix shared a post with several cool stories, but this one about a spoon that provides the user with a salty taste without the salt really caught our attention as a solution for people with food restrictions. You must watch the video portion of this post by MAKE Magazine because this 3D-printed gun that folds and launches paper airplanes has to be seen to be truly appreciated. It rolls and patrols! Laughing Squid posted about the Knightscope K5, an egg-shaped robotic security guard that may someday replace humans for some applications. “Sweep the leg!” Uh, better think twice and read this Mashable post. Google’s robot does a perfect Karate Kid Crane Pose. And we close out this week’s column with our post of a little Friday Fun imagining alternate uses for some of the products we carry: Check out DuraStripe’s Footprints Floor Safety Signs used for dance lessons. Save 18% off the MSRP on Transforming Technologies IN3425PE Ptec Ionizer AC Ionizing Nozzle w/Photoelectric Eye (Q Source SKU: T070-000450) when you use our FPF111414 Coupon Code. This Featured Product Friday (FPF) promo is valid from today, November 14, 2014 through Sunday, November 16, 2014. 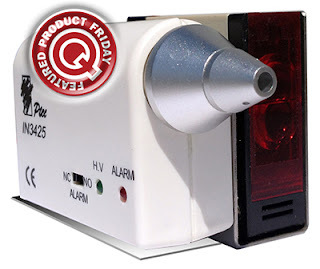 The IN3425PE Ptec Ionizer does not require calibration and is an extremely reliable ionizer designed to remain in balance and alert the user when the HV output affects performance. The compact, lightweight unit is perfect for use in a myriad of industrial and manufacturing applications where static electricity remains a problem. 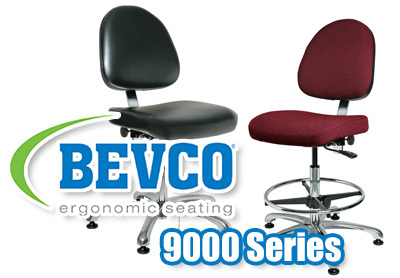 Regularly listed at $1,000.00, but with our FPF code savings you’ll get it for just $825.00. While this is a 3-day limited-time price, the coupon is unlimited. Use the code as many times as you like while it is valid—and please feel free to share the code with your friends and colleagues. Leading off this week, R&R Lotion posted about the potential dangers of using spray sunscreens. The FDA is investigating possible risks to the respiratory system from inhaling these types of sunscreens. Shades of the movie, Minority Report, Tektronix’ post describes a device that allows you to move holographic images through the air as if using a touchscreen. NIST posted about a new clock that is so innovative it may end time as we know it. Does this mean we can’t hit the snooze button in the morning anymore? Here’s an excellent post by MAKE Magazine for beginning welders or those who need some tips. Check out these six things before you start to weld. Remember those old, “I’ve fallen and I can’t get up” commercials? EE Times’ post tells us about a new shirt that can monitor your heart and alert your doctor via Bluetooth or Wi-Fi if there is a problem. And we close out this week’s column with our post about Steve Allen’s latest Guest Blog, which focuses on flux use in electronics soldering. 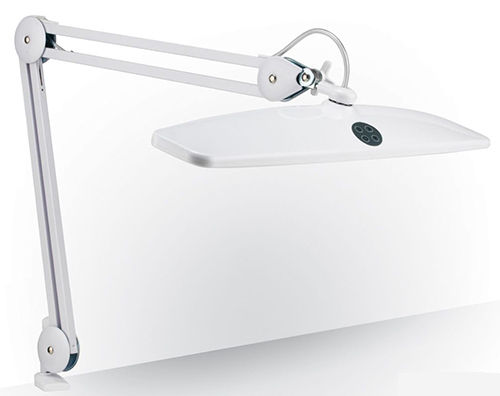 Save 35% off the MSRP on Daylight Company’s Slimline LED White Magnifying Lamp (1.75x - 2.25x Mag. w/5" Lens) (Q Source SKU: U25030-D070) when you use our FPF110714 Coupon Code. This Featured Product Friday (FPF) promo is valid from today, November 7, 2014 through Sunday, November 9, 2014. 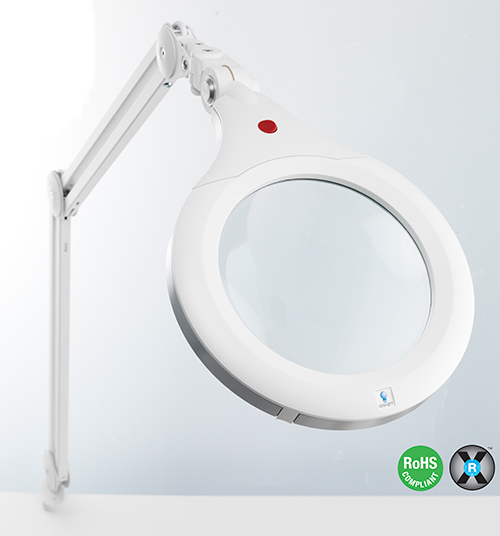 The Daylight U25030 LED Magnifying Lamp is a unique and stylish lamp with low-heat LEDs that never need replacing. Regularly listed at $200.00, but with our FPF code savings you’ll get it for just $130.00. While this is a 3-day limited-time price, the coupon is unlimited. Use the code as many times as you like while it is valid—and please feel free to share the code with your friends and colleagues. Do you have work areas/stations you need to monitor for static safety? Confused about what you need or what works together well to accomplish such monitoring? 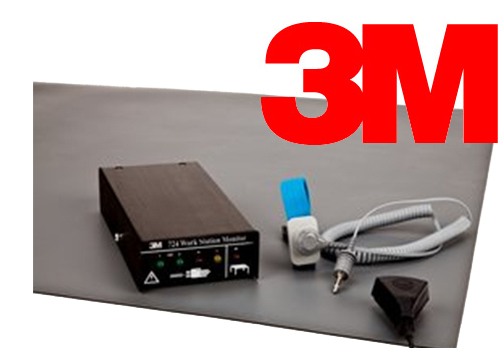 3M has now made it a little easier for you with their new 724 Dual-Wire Workstation Monitoring Kits. 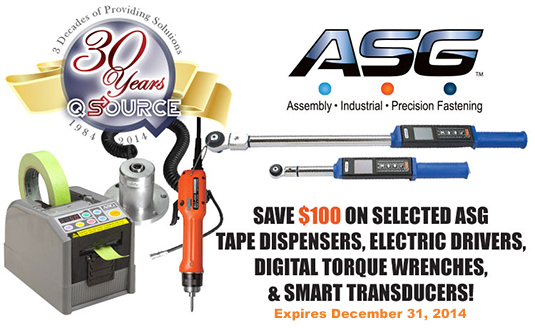 Each kit regularly sells for $284.18, but you'll save more than $30.00 when you purchase them at QSource.com. Visit our 3M 724 Dual-Wire Workstation Monitor Kit page to place your order or contact us by phone (800-966-6020) or via email. For those of us associated with the electronics manufacturing industry, we are well aware that solder flux is a very important part of the soldering process. Flux is necessary to reduce the oxides that tend to form whenever you have hot metals in contact with the air. In electronics, we use a rosin-core solder, a mild no-clean solder, a more aggressive lead-free solder, or a water-soluble solder to aid the soldering process and eliminate metal oxides. We take great care regarding flux to make sure that we have selected a product that's not plumbing flux or acid-core flux because we know that will tend to corrode parts and components over time; they're okay for pipes but not for electronics. In many cases, we're looking at rosin solder flux (in paste form) for most applications. If the temperature's a little bit colder, it will tend to crystallize and solidify. But it can be melted with a little bit of heat from the soldering iron. Of course, when you heat flux it tends to produce smoke, so it's good to have ventilation or a fume extractor to be sure that you're not breathing in the caustic vapors created from heating the flux. When you heat a work piece, flux reacts with the metal oxides that are forming with the temperature and exposure to the air. These residual metal oxides tend to interfere with the metal-forming process of soldering. Flux will chemically react with these oxides to make a nice, clean metal from the solder forming process that will form a pristine alloy on the board. As we know, many solders come with flux in the core. The solder is actually hollow and inside the solder wire there is a central core of flux. As you feed the solder into your work piece, the flux then distributes itself over the surface of the work, reducing the formation of metal oxides and preventing them from occurring during soldering. Flux core solder can be helpful in many soldering instances for small, specific solder and repair projects. Additionally, we should talk about water-soluble flux, which is a recent and significant improvement in flux. With water-soluble flux, cleaning becomes easier. With rosin-core flux, the flux is not water-soluble. It takes an aggressive solvent cleaner to dissolve it and to remove it from the work piece. While easier to clean, water-soluble flux may not be appropriate in all circumstances. It can leave a residual layer that may interfere with high-impedance and high-resistance circuits where you have resistances (10 mega-ohms or greater). The water-based flux may actually lower that resistance and cause the circuit to malfunction. 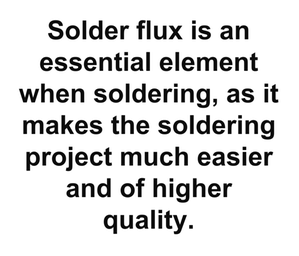 Solder flux is an essential element when soldering, as it makes the soldering project much easier and of higher quality. Unfortunately, leaving even the no-clean fluxes behind on a PCB can cause some serious issues in circuit performance and even disable components. As part of the basics of flux, it's important that we understand what leaving flux on a PCB can do to your circuit. Leaving fluxes behind can seriously damage a PCB. In many instances, no-clean flux may not need to be cleaned from a circuit to prevent the flux from physically destroying the circuit. Unfortunately, the presence of flux changes the capacitance between traces, conductive pins, and circuits, and can ultimately get into the mechanical workings of electromechanical components and bind them up. Flux that requires cleaning is very acidic and can eat away at traces and pins, changing their resistance and even destroying surface mount components if the flux is left in place too long. One particular location in board rework and repair, where the direct presence of residual flux has a significant impact, is on or near the input circuits to a differential input. Differential inputs are often balanced and used for very precise measurements. The presence of flux here will not only throw off any measurement, but can cause the readings to drift significantly over time. Electromechanical components are also significantly impacted by flux. Often these components are soldered in by hand in the first few prototypes. The hand soldering of these components often works just fine, and the circuit moves on to an initial low-rate production run where problems start to occur in switches and other “mechanical-based” components. Often what happens is that the change in flux application techniques causes flux residue to build up inside the mechanical component and either prevents it from physically moving or makes the switch work intermittently. Troubleshooting these problems is extremely difficult and can lead to significant time loss during troubleshooting. This leads to quality problems we are trying to prevent. Often when making prototypes components will be hand-soldered in place, circuits will be modified during testing, and parts will be replaced. Each of these operations requires the use of flux, which will need to be cleaned. 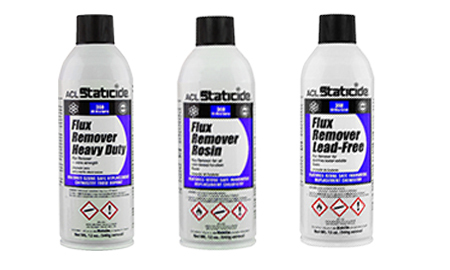 ACL has developed a complete line of flux removers for all of these specific applications. No Cleaning – If the circuit is slow, not susceptible to noise errors or increased DC offsets, then no cleaning could work just fine. However, for most circuits leaving the solder flux on the board will cause errors and make troubleshooting much more difficult. Hand Cleaning – Better than no cleaning at all. Circuits see faster warmup periods and less current offset issues. Soaking in an Aerosol Solvent Spray – Similar to hand cleaning, aerosol soak and rinse methods can be very helpful in cleaning out mechanical components where hand cleaning simply can't reach. While it is tempting to save the 10 minutes or so and not perform a proper cleaning, for precision circuits, cleaning is an essential step in the testing and manufacturing process. 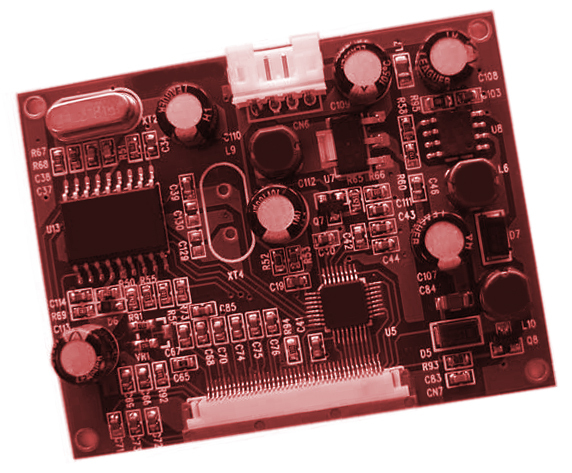 Keeping a PCB board free of flux build up will save countless days in the testing and troubleshooting process and significantly reduce the stress of tracking down random errors and quality problems. Invest the money and time in an effective cleaner and cleaning process and spend more time building and designing great circuits (rather than countless hours troubleshooting problems). 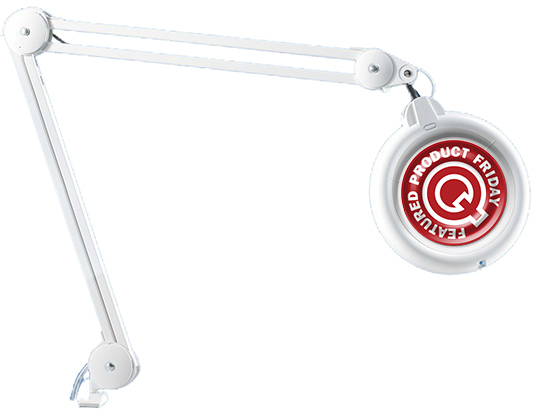 Thanks Steve, for yet another Guest Blog full of must-have info that our Q Source Resource readers can apply to their own work environments. Leading off this week, Agilent Technologies shared a post describing how static on Bell Telephone’s lines in 1931 led to the discovery of radio waves from outer space. Transforming Technologies gave us one of those, “I didn’t know that” trivia posts about why the first place ribbon is called the blue ribbon. So, Lowe’s is trying out Robot Shopping Assistants to help you identify the exact parts you’re shopping for (like screws, etc.). This Robot Magazine post doesn’t mention if the robot assistants can help a couple stop arguing over what color to paint the bedroom. 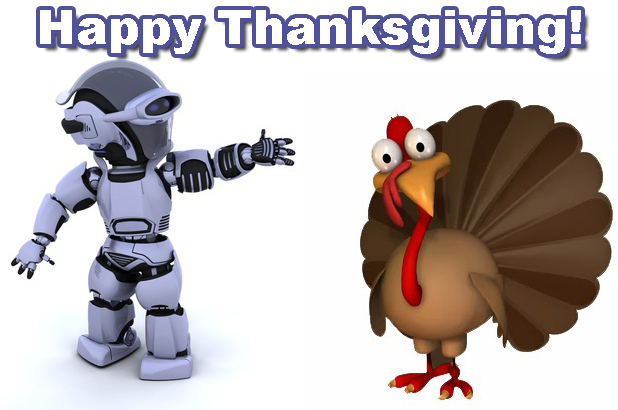 With Halloween being last Friday, there were a lot of cool holiday-related posts. Laboratory Equipment magazine shared this cool image of a periodic table made of jack-o-lanterns. Geek Halloween at its best! Of all the cool Star Trek technology, the tricorder has always seemed just out of reach. This Laughing Squid post about tricorder-like disease detection shows us a step in the right direction. And we close out this week’s column with our post of a little bit of poetry and patriotism recognizing the Statue of Liberty’s dedication.